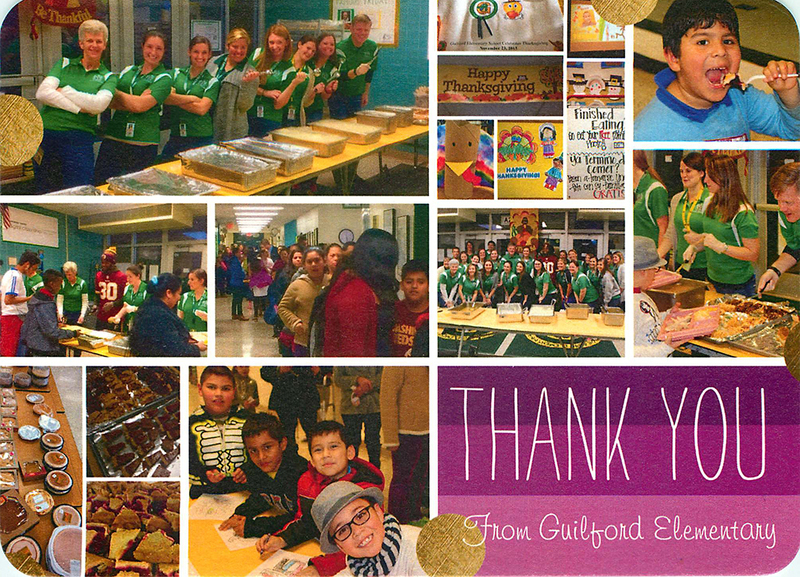 We want so give a huge THANK YOU to all who donated of their time and resources to make the Guilford Elementary School’s Community Thanksgiving Dinner a huge success. 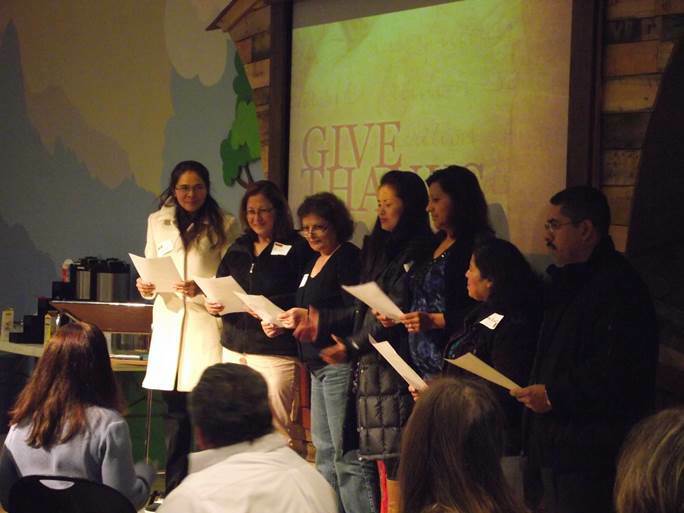 Our congregation donated over 90 pies and 1000 servings of stuffing. 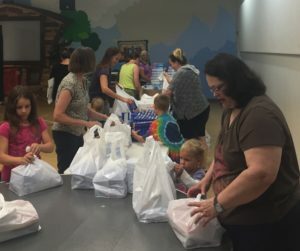 We also had 12 volunteers who helped serve the families by pouring drinks and carrying trays for moms with lots of small children. 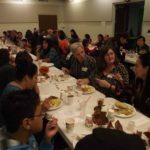 This was the largest Thanksgiving Dinner that Guilford has hosted to date, with over 900 people enjoying traditional North American Thanksgiving foods, many for the first time. Parents who often don’t have the resources to feed their families an abundant meal like this were truly grateful. 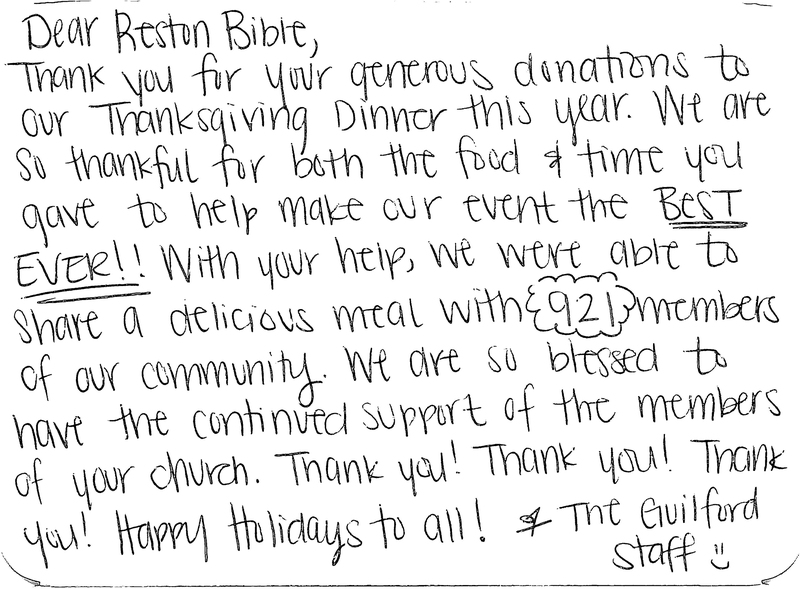 We are thankful for you, our generous congregation and our faithful God who allows us to serve these families and staff at Guilford Elementary. Praise God with us for the work and blessings during First Fruits this year. 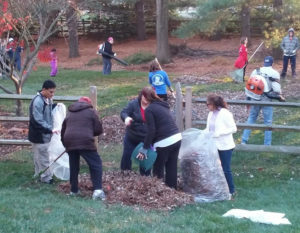 Last Saturday, November 21, we had 32 teams composed of 659 volunteers completing 133 jobs. This day raised $43,490! 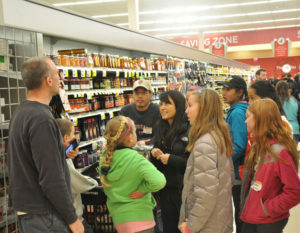 The teams used some of what was raised to buy groceries and bring gift cards to 32 families with financial need that night. An additional 40 or more families will also be receiving grocery gift cards in the next few weeks. 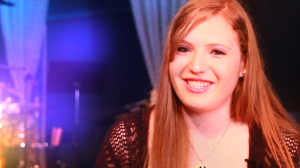 Five local high schools will be participating in a Perseverance Scholarship for seniors as they prepare for college. Teachers will also be nominated for a gift from us. All of these opportunities to exemplify God’s love to our neighbors is only possible because of the many people who sacrificed their time, energy and finances. Thank you! To learn more about how First Fruits has an impact, read First Fruits: Beyond the Leaves. We saw specific needs met over and over. Thanks to the generosity of our people, along with serving our body, and the local community, we were able to send clothing to missionaries in Japan and Ethiopia, and to a Christian rehab center here in Virginia. 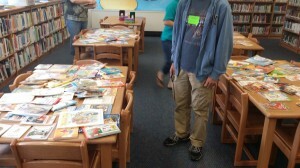 There were about 30 bags of clothing left at the end of the event, which went to SACS, the thrift store we partner with. If you have ever wondered what might have happened to the books that were leftover from RBC’s book drive for Guilford Elementary last Spring, then you will love this story. 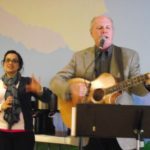 Open Arms Worldwide (OAW) is a mission supported by Reston Bible Church that works in low income or otherwise at-risk neighborhoods in Brazil. Open Arms works to mobilize and equip local churches to reach and teach children who are in their community, but outside their church family. This year, Open Arms has started working in the U.S. as well, and their first project is right in our backyard. In partnership with Sterling Park Baptist Church, we have begun building a relationship with another Sterling Park elementary school, Sully Elementary. 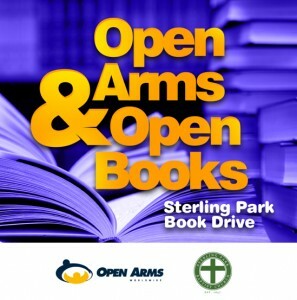 At the beginning of the month, Sterling Park Baptist and Open Arms held a book drive with the goal of providing 2-3 books for every child at Sully to read over the summer. In the spirit of unity in the body of Christ, RBC gave the effort a huge head start by donating around 1,000 books that were left over from the Guilford drive last Spring. Your gifts have been multiplied and the body of Christ has been glorified! Win, win! Read more about this story on the Open Arms website. With all that it takes to become comfortable and productive in Northern Virginia culture, it occurred to me that the internationals in our English as a Second Language program would benefit from understanding how to handle emergency situations. 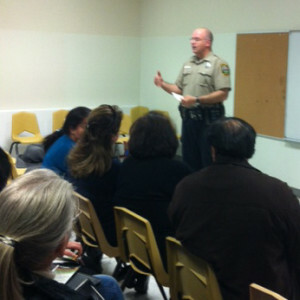 One of our teachers, Ron Colan, has a son who is a deputy with the Loudoun County Sheriff’s office. 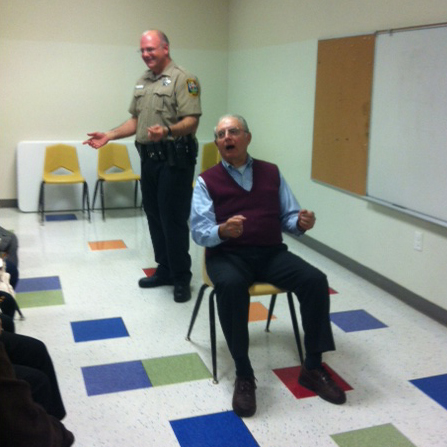 Deputy Colantonio was only too happy to come in and share basic knowledge with our students. I also contacted the Loudoun County Fire and Rescue Squad and they sent a very capable public education manager, Lisa Braun, to provide training in all matters having to do with fire safety and calling 911. For our two lower-level classes, I had to provide translators in order to ensure clear understanding of this important information. Thankfully, I was able to find the right people for all the major language groups. 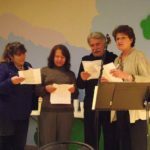 The presenters deftly maneuvered talking then pausing, over and over again, in order to allow the translators to work effectively. Ms. Braun provided a 911 simulator which looks like a telephone and has a recording of the likely dialog that would be heard from the 911 operator. It was great for the students to try to answer the dispatcher’s questions and listen for instructions. When one is in a stressful situation, this may not be so easily done – even for a native English speaker! Deputy Colantonio talked about what to do if one is pulled over by a police officer and also the procedure to follow should one have a traffic accident. Students had many questions on other matters pertaining to the law that have either been misunderstood or not known. 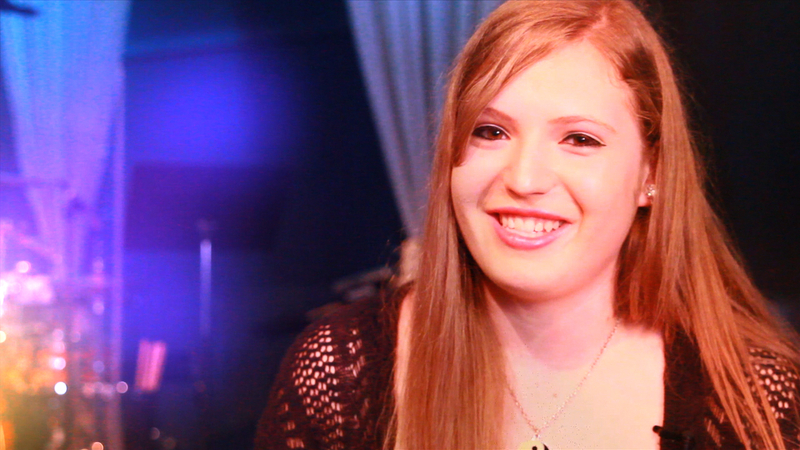 We strive to give our students practical information about how to live here as responsible citizens. Part of that is helping them to acquire the language and part of that is providing cultural insight including understanding the law. The more we show our love and concern for them, the more likely we will have a platform for pointing them to the ultimate need they have in their lives – knowledge of Jesus Christ and His relevance to every person, whether born here or elsewhere. When children come into foster care, they are often removed from their homes in an emotional and chaotic scene. Their biological families pack their belongings in whatever bags they may have handy, including garbage bags. Sometimes, families don’t have any large bags to give children to carry their things, as many of these children come from low income families. Many times children come into foster care with nothing that first night. 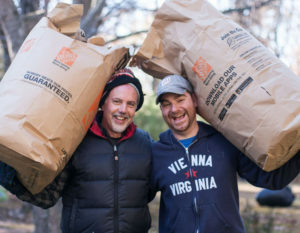 To have a bag of their own, filled with items that are just for them as they enter a world that is not their own, can offer a small but powerful comfort. This was the challenge that we presented to our body back in January. 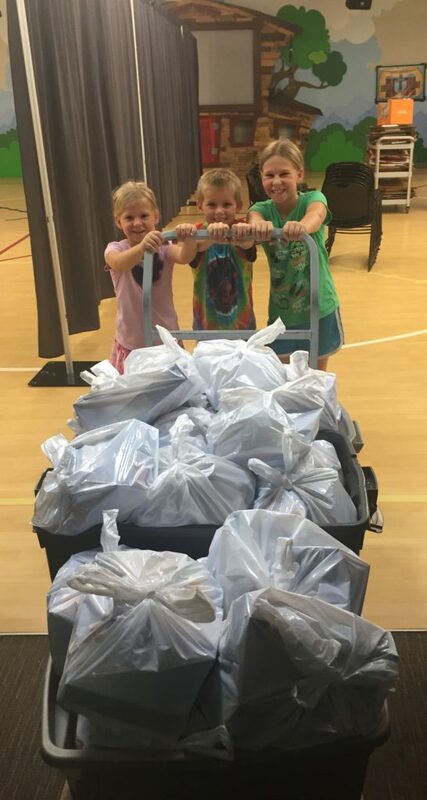 Let us be the hands and feet of Christ by providing shiny new duffel bags filled with the necessities that a child whose world has just been turned upside down would need, plus some extra goodies so they would feel valued and loved. We can’t measure the effect that holding a teddy bear that will be theirs to keep would have on a child that first night away from the only home they have every known. We are grateful to God that our people are a generous people and embraced this opportunity to love a child they will probably never meet. 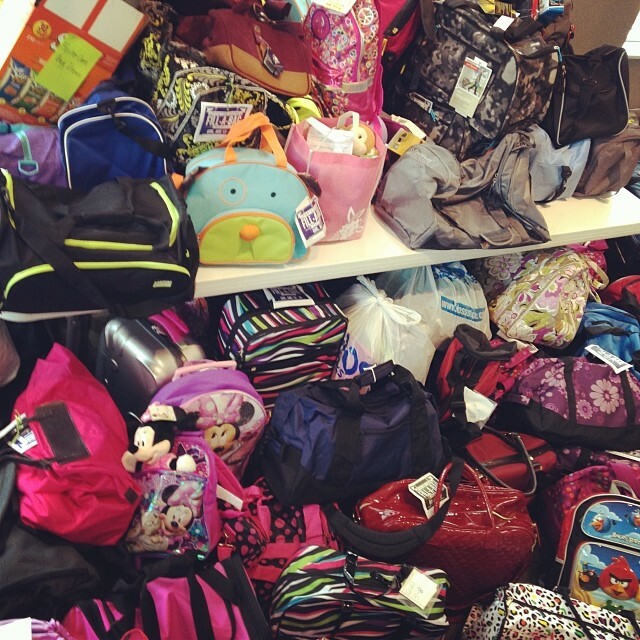 We had over 200 bags donated, which filled two 15-passenger vans. 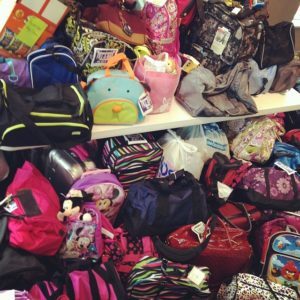 The bags will be distributed to several local foster care agencies and will meet a tremendous need. Thank you all for remembering these children – the ones that the Bible calls “the least of these.” Please be in prayer for future partnership opportunities with these agencies, and pray for the little lives that each of these bags potentially touch. 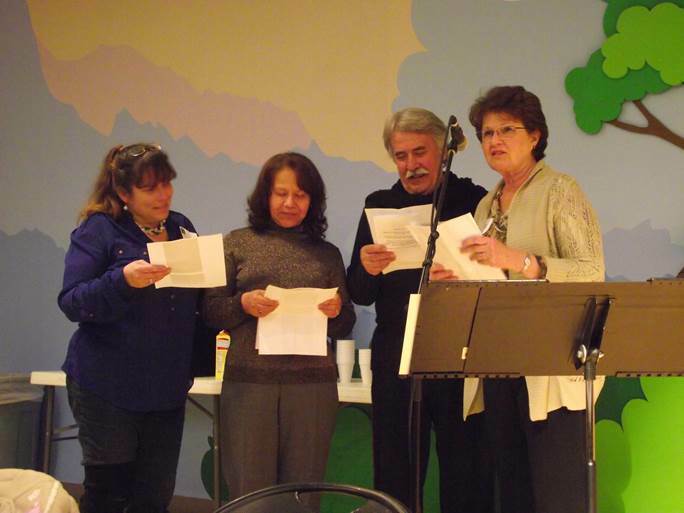 The RBC Club House room was packed with international faces and languages – children, adults, seniors – all chattering and eating. 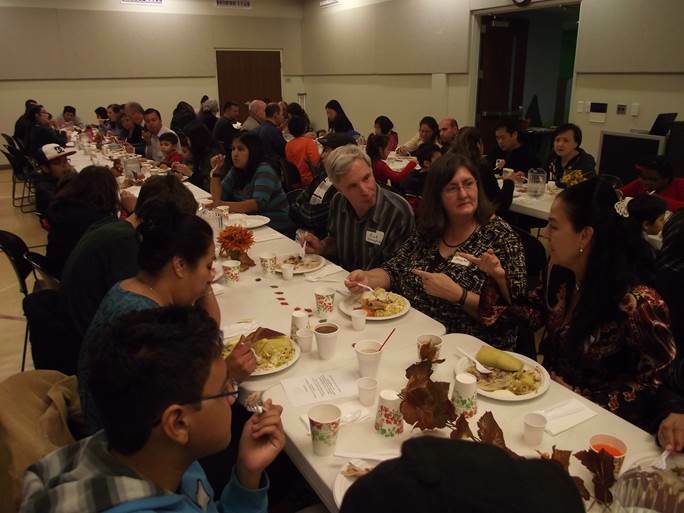 The annual Thanksgiving Dinner for International Connection (our ESL, or English as a Second Language program) was a chaotic but lively and warm gathering! We welcomed 168 guests, which made it shoulder-to-shoulder in that space. The buffet area was set up with two rows of international cuisine – tamales, rice pilaf, spring rolls– mixed in with traditional dishes of turkey, mashed potatoes and stuffing. The International Connection volunteers (plus extra helpers) provided the traditional Thanksgiving fare to give our students a taste of North America. The students proudly contributed the bounty from their home countries. What a feast! After dinner, the children were dismissed to take part in their own supervised activities while the adults remained to enjoy the program. 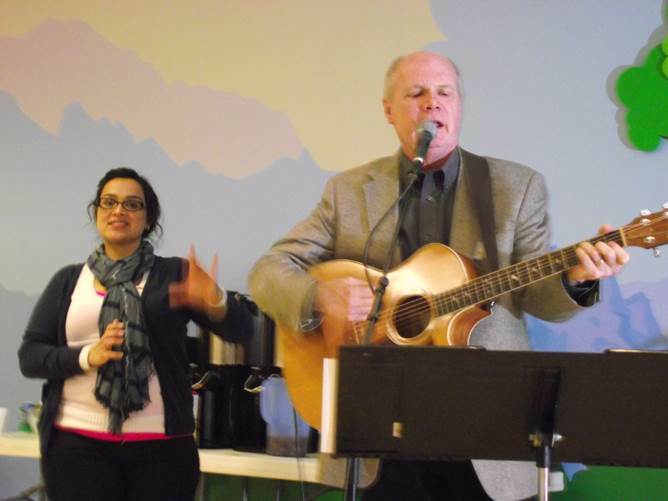 Pastor Ed Nalle led us in singing “Give Thanks with a Grateful Heart” and then performed “Be Ye Glad” to a rapt audience. We watched a short video that presented the history of the holiday. 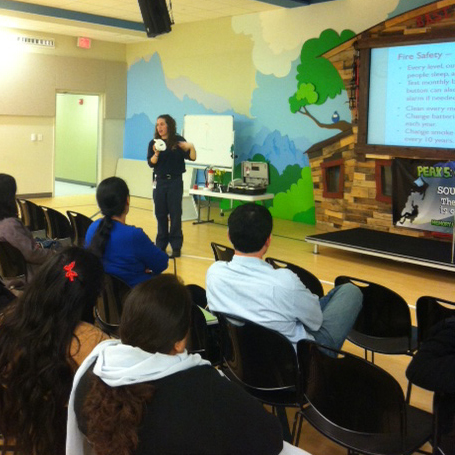 Then there were class presentations and individual student speeches – the highlight of the evening. 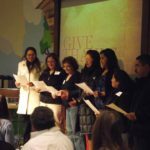 From the choral readings to the personalized expressions of why they are thankful, it was a time to count our blessings and then focus on the greatest gift of all – Jesus. Mike Meyers, Children’s Ministry Director, reminded us to stop and recognize the good things right in front of us that are easily taken for granted.